Big Thanks to gearank.com for putting together this midi interface of 2018 highlights. Whether you’re looking to get your first good MIDI interface, or if you’re looking to upgrade so you can plug more MIDI devices simultaneously into your computer, then this guide is for you. Note that many of these interfaces are class compliant so you’ll be able to use them with iOS or Linux – make sure you read the “Things to Consider” section if you plan to use one with an iPad. 89 out of 100. Incorporating 400+ ratings and reviews. The Roland UM-ONE mk2 is a compact and affordable USB MIDI interface that has low latency timing. It comes in a form of a “Y” cable. It has data indicators for its MIDI ports and has conveniently integrated USB and MIDI cables. There’s a small switch on the side labelled “COMP/TAB” that allows you to set it to use the supplied “old school” Windows/Mac drivers (“COMP”) or the more modern “Class Compliant” Mode (“TAB”) that doesn’t need drivers so it also works with IOS (iPad 2 and later, via Apple’s CCK/lightning connector), Linux and newer Android devices. Just one thing to keep in mind with iPad compatibility is that the manual states that you need to connect it through a powered USB hub, presumably because it may use more power than IOS provides. However hereRoland says it’s compatible without needing extra power and users have reported that it works connected straight into the Apple adaptor as well. Many users found this interface convenient since it’s easy to set up and has a straightforward manual. For those Windows/Mac users who prefer to use the drivers the setup there is generally straightforward and there are drivers available all the way back to Windows XP and Mac OS X 10.4. The Class Compliant MIDI option ensures that it can work with iPads, Linux and modern operating systems. There were some users who had driver setup problems particularly with older versions of Windows and Mac operating systems. In some cases it also seems that the “COMP/TAB” was confusing for some and they needlessly battled driver issues when the Class Compliant mode could have had them up and running. The mixed signals over whether a powered USB hub was required for iPads also caused some anxiety for buyers even though it worked fine without needing the powered hub. This simple and straightforward MIDI interface is a great choice for you if you’re a beginner starting out when it comes to using MIDI hardware. This is a good choice if you just need to connect a single keyboard or module to your computer. 88 out of 100. Incorporating 125+ ratings and reviews. 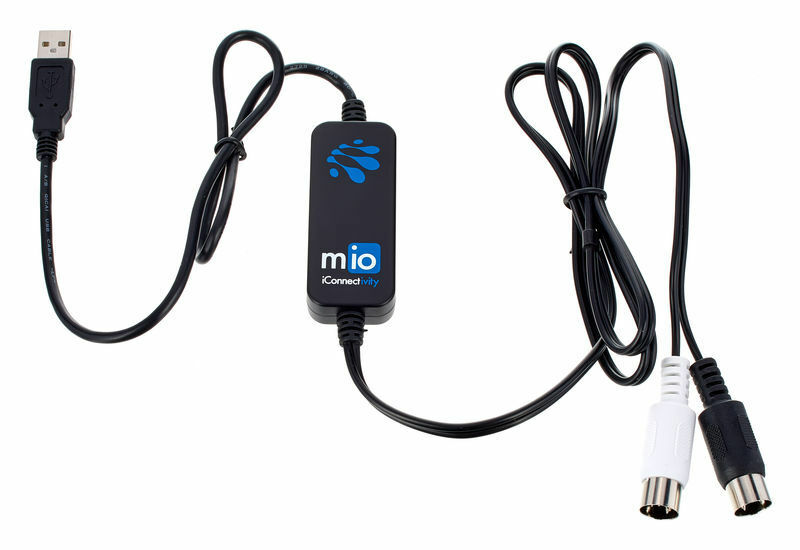 The mio is a USB Class Compliant (plug and play) bus powered MIDI interface. It sports low latency and is an affordable option well suited to the basic need of connecting a single MIDI device to your computer. The makers boast of it’s “Indestructible” Class Compliant drivers that are “engineered to today’s strict guidelines to ensure compatibility for years to come”. They also mention that it’s been engineered “properly” to avoid the device introducing electrical noise into your system although this does seem like a rare occurrence for MIDI interfaces in general. There’s also a free companion controller app called “iConfig” available for Windows, Mac and iOS that allows you to route and process MIDI in various ways as well as update the device firmware. Many users praise this interface for living up to its plug and play functionality. It works well with the previous version of Mac and Windows operating systems and has no noticeable latency. A lot of users were pleased they didn’t need to install drivers. It has a sturdy and compact build that feels secure and is very affordable. Some people find its ‘iConfig’ software editing interface to be confusing and complicated to use. Although it should be mentioned that this is only needed for advanced functions. Also a few users reported issues with sending System Exclusive (SysEx) MIDI messages. There were also some cases were people reported MIDI signals getting cut off. This is a basic interface which lets you connect a MIDI device easily without the hassle of installing additional drivers. The E-MU Xmidi 1×1 Tab is a simple “Y” cable Class Compliant MIDI interface from the makers of the original ‘Sound Blaster’ audio cards. It’s probably the simplest and least feature packed USB MIDII interface on this list and is literally all cable and connectors. They’ve been making them since 2006 in a few different forms and if you click the manufacture’s link it seems they haven’t updated their documentation since then but we can assure you that this ‘Tab’ model is a “Plug and Play” / Class Compliant device that works with all modern operating systems. It seems this device’s lack of features is a virtue with most users reporting it being easy to set up and use. Generally people found their computers recognized the device straight away. As with the other devices in this list the USB Class Compliant MIDI means that it can work with all serious modern operating systems now and into the future without having to worry about drivers. A few users mentioned that it had a cheap build that can easily break and others received defective cables at purchase. There was a report that when transferring ‘System Exclusive’ messages (SysEx) the unit could not handle the highest data rate leading to data corruption. This interface is a good MIDI interface if you want the simplest possible option for you to connect your MIDI device to your computer. 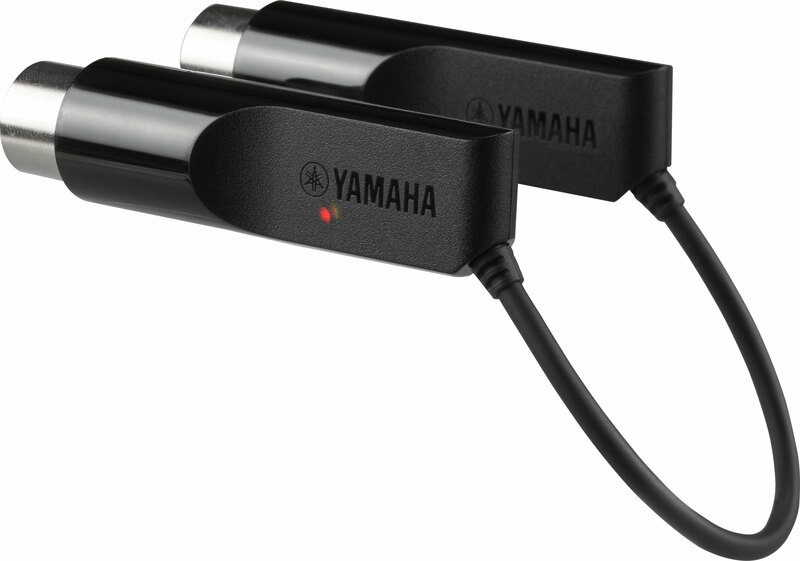 The Yamaha MD-BT01 is a bluetooth wireless MIDI Interface that has MIDI In/Out terminals for Mac and iOS systems. Bluetooth MIDI is a new technology standard initially developed by Apple and so it’s mainly only been compatible with Apple devices although other operating systems such as Windows 10 are adding support. The unit is powered by the MIDI connection so no cables are required allowing a truly wireless setup. Yamaha provide a companion App that allows you to easily use multiple MD-BT01s in your setup. Keep in mind that this interface obviously won’t work with USB. Compatibility: Bluetooth LE MIDI. Compatible with iOs 8 or later and Mac OSX Yosemite or later with Bluetooth 4.0 installed. iOS and Mac users provided positive feedback for this device saying and Bluetooth connection is generally easy to set up. Comments about the latency generally ranged from non-existent to acceptable, In terms of range it can work up to 30 feet even through walls and obstructions. A small number of users have criticized it for not being immediately recognized by iOS devices when pairing but it does work most of the time. Some of them also mentioned its build is a bit flimsy and may not plug in easily to some MIDI devices. There were also some reports of latency issues particularly when sending a lot of MIDI data so there could be issues with sending complex multi-channel pieces. Of course the big question of “would you trust this for a live performance” comes up and it does seem that most prefer the reliability of a wired connection when performing in front of an audience. This interface is a great choice if you want an easy to set up wireless system that works at up to 30 feet distance. The M-Audio MIDISPORT 4×4 Anniversary Edition is the revamped version of the original MIDISPORT 4×4 released in celebration of M-Audio’s 20th anniversary. It’s 4 MIDI In/Out ports allows you to connect 4 MIDI input devices simultaneously and reduces the need for daisy chaining MIDI sound modules on the output side. The convenience of having dedicated ports for multiple midi devices shouldn’t be underestimated so it’s worth considering if you have a few MIDI devices. It has a MIDI indicator for each port and is compact and lightweight for desktop and mobile use. Many users appreciate its multiple port feature. They often find it handy when it comes to connecting multiple MIDI instruments and having more channels available. Many compliment its robust build and design and its easy to set-up by just plugging it directly to a computer. Some reviewers had issues with its firmware but this was only a small number of people. Some also would have liked it to have configurable routing. This interface is handy if you need a simple multiple port interface that is easy to setup. It’s great if you need to connect four different MIDI devices and use them at the same time. 85 out of 100. Incorporating 125+ ratings and reviews. 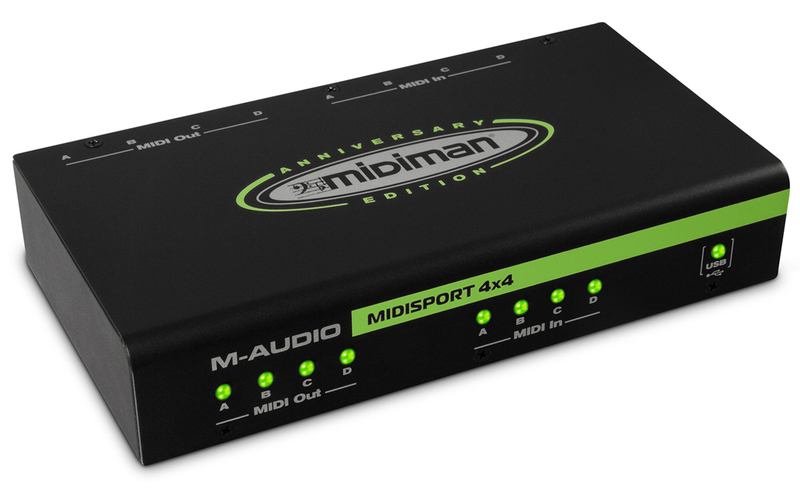 The MIDISPORT 1×1 from M-Audio is a compact and lightweight MIDI interface that has simple one in and one out MIDI ports. The currently available model is Class Compliant / Plug and Play so it’s compatible with Mac, Windows and Linux. It’s powered via USB and can be used for both mobile and desktop purposes. Being Class compliant the device just ‘plugs and plays’ with modern operating systems. It’s a convenient choice for people who want a hassle free 1×1 MIDI interface. A few prefer this interface over MIDI Y interface cables. Some have mentioned its build is a bit flimsy and its shell casing wasn’t all that solid. The blinking LED light was mentioned as a bit of a nuisance. Also it doesn’t come with it’s own MIDI cables. This interface is a good choice if you prefer a compact interface over MIDI cable interfaces. 85 out of 100. Incorporating 40+ ratings and reviews. The iConnectivity iConnectMIDI4+ is a 4 In/4 Out is a versatile class compliant MIDI interface that supports Macs, PCs, and iOS devices. Apart from supporting 4 MIDI In and Out ports, it can support up to 8 additional MIDI devices with the use of the USB host port as well as allowing digital audio passthrough via USB. Its ethernet port is another built-in feature that can connect this interface to a wireless router, ethernet hub/router, or any ethernet enabled device. There’s a companion App to help you manage all of these capabilities as well as slice and dice your MIDI data to order. On top of that it can charge your IOS device with the supplied lightning cable. Some reviewers said that this interface doesn’t work well with other interfaces. Bruce Aisher from MusicRadar has tested connections in different range scenarios and concluded that it works better with Mac based DAWs compared to Windows. This interface is a great choice if you want a versatile device that gives you the option to connect more than 4 MIDI devices. 83 out of 100. Incorporating 60+ ratings and reviews. 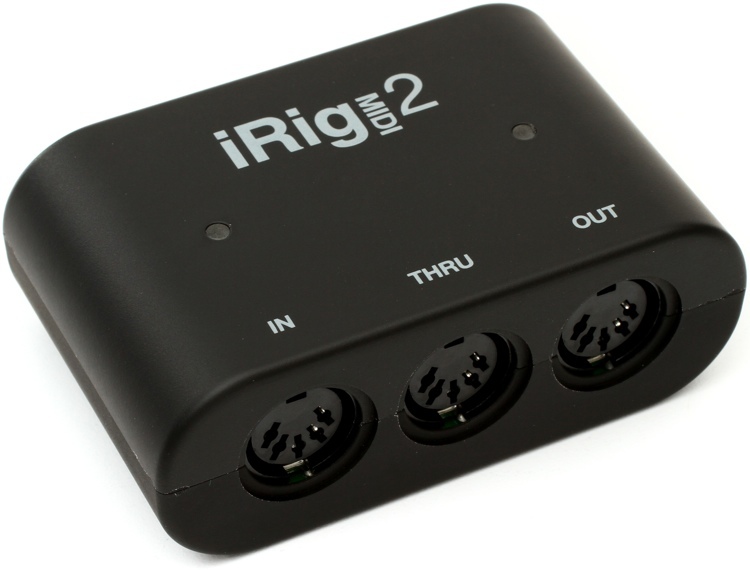 The iRig MIDI 2 from IK Multimedia is a mobile MIDI interface that works with Mac, Windows and different generations of iOS devices. It’s compatible with both USB and Apple’s Lightning cable, which are both included and are detachable. It features 3 MIDI ports: In, Out and Thru and these have light indicators as well. It can connect to Android devices with the use of a separate OTG to Mini-DIN cable. One minor flaw many reviewers mention would be its dependence on power of its host device which for tablets and phones means you can’t charge at the same time. This is expected with compact midi interfaces though. This interface is suitable for you if you want to use your MIDI device on-the-go with your Android or iOS device. 82 out of 100. Incorporating 150+ ratings and reviews. The MOTU micro lite 5×5 is a professional MIDI interface that provides 5 MIDI In/MIDI Out and 80 MIDI channels that are compatible with all versions of Mac and Windows devices. It has a metal casing build that’s both portable and convenient for desktop operation. It also has removable rack attachments and a custom center-joint fastener that allow you to mount two of these interfaces side by side in a standard 19-inch equipment rack. The number of MIDI ports can be expanded by plugging it to other MOTU MIDI interfaces. Many people praise it for its simple design, how well-built it is and its low latency. For an interface that has multiple ports, it’s simple and straightforward when it comes to configuration. A few musicians have tried connecting multiple keyboards and synth modules and gave positive feedback on how easy it is to integrate it into their computers. A few reviewers mentioned they never had any sync issues when synced with other devices. Some users notice their DAWs don’t recognize this interface right away. Some of them had to unplug and re-install drivers of this interface in order for it to work. A few have mentioned this doesn’t have any routing options either. This interface is not class compliant which means that you are dependant on drivers from the manufacturer for it to function. If there are new Windows or Mac updates in the future then you may need to install new drivers if they are available. This is an affordable choice for your professional or home studio that’s expandable and has extra features. What is a MIDI Interface? Simply put, it’s a device that allows you to connect MIDI devices, such as hardware synths and keyboards that use 5-pin MIDI jacks, to your computer or tablet. 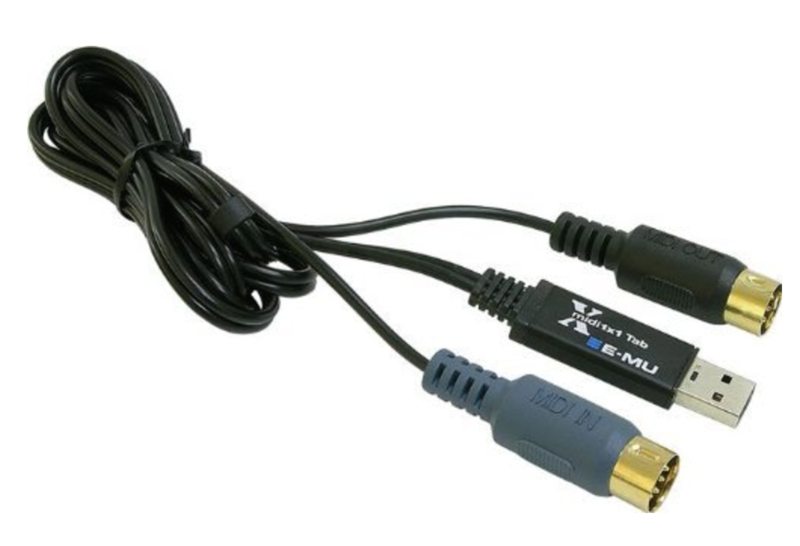 Some MIDI interfaces come with “Y” cables: 2 MIDI connectors (1 In/1 Out) on one end and a USB connector. Some have multiple MIDI sockets and this is necessary if you want to connect multiple MIDI devices at the same time – an example would be connecting an Electronic Drum Set and a MIDI Keyboard at the same time. Multiple MIDI sockets are also useful if you want to leave multiple devices plugged in even if you only use one at a time – saves the hassle of unplugging and plugging in different devices constantly. There are MIDI Interfaces that are compatible with IOS devices, such as iPhones or iPads, with the use Apple lightning cables. Any class compliant USB device can be connected to iOS devices via an Apple Camera Connection Kit – note that your iOS apps must use CoreMIDI. Many MIDI interfaces don’t need additional AC power cables or batteries and can be powered via USB when plugged to a PC, Mac or Linux box. Important information for iPad users: The iPad limits the amount of power available to USB devices so even though you can use Class Compliant interfaces with it you will usually need to use a Powered USB Hub to provide sufficient power. This does not apply if your MIDI interface has its own power adapter. Class compliant devices are plug-and-play devices that don’t need extra drivers to work (although manufacturers often supply them anyway). Although theoretically any class compliant device should work with any operating system that supports them you may have trouble with older operating systems so if you don’t have the latest version of your OS then check the compatibility information carefully before purchasing (or upgrade to the latest OS if you can). 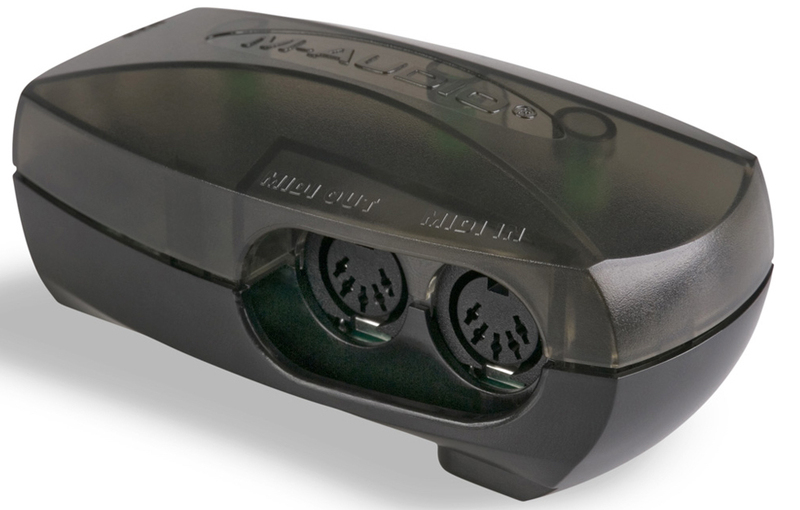 MIDI devices come in 3 ports: In, Out and Thru. A single MIDI port (Output) is enough to connect your MIDI controller to a computer. Having multiple synth modules, keyboards or effects processors means you need a dedicated interface with more MIDI channels to connect to, which helps reduce latency. Another reason to have more MIDI channels is if one of your sound modules don’t have a MIDI Thru port for daisy chaining. Each MIDI ports contain 16 channels. MIDI interfaces come in in 2-, 4-, and 8-port configurations which provide 32, 64, and 128 channels respectively. We looked at all the popular and highly rated MIDI interfaces available from major American music gear retailers and short-listed the 25 most promising for detailed analysis. During this procedure we processed more than 3,300 individual review and rating sources from user and expert reviews and forum comments, We then selected the 9 best interfaces to recommend above. For more information about this process see How Gearank Works.